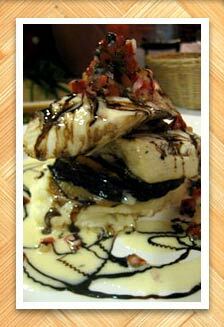 We were very impressed with the food at Cuatro. They serve a fusion of Asian and Mexican food that surprisingly enough works REALLY well. The photo below is of their Ahi Nachos. 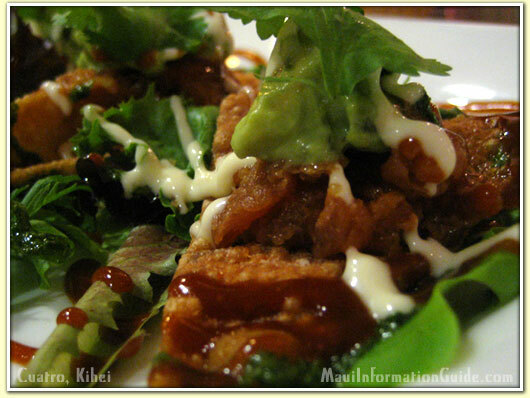 The nachos consist of crispy fried wantons with Ahi poki and guacamole. It is amazing! Their chefs are true artists. The restaurant is very small, but they've managed to make it feel bigger and cozier than it should be. The feeling you get when at Cuatro is of comfortable fine dining. The service at Cuatro was very warm and personable. Being such a small restaurant gives it that mom and pop feel, especially when the owner comes over to say hello. This restaurant is something special. If you're thinking about going to Sansei, but there's a wait, give Cuatro a try. You won't be disappointed. 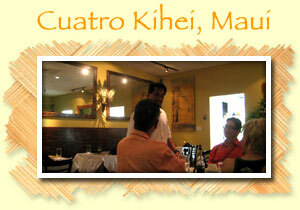 I've never been disappointed going to Cuatro in Kihei. The food is always top-notch, and the vibe is like home. Love it! Snorkeling and diving Molokini Crater is only minutes away from Kihei!